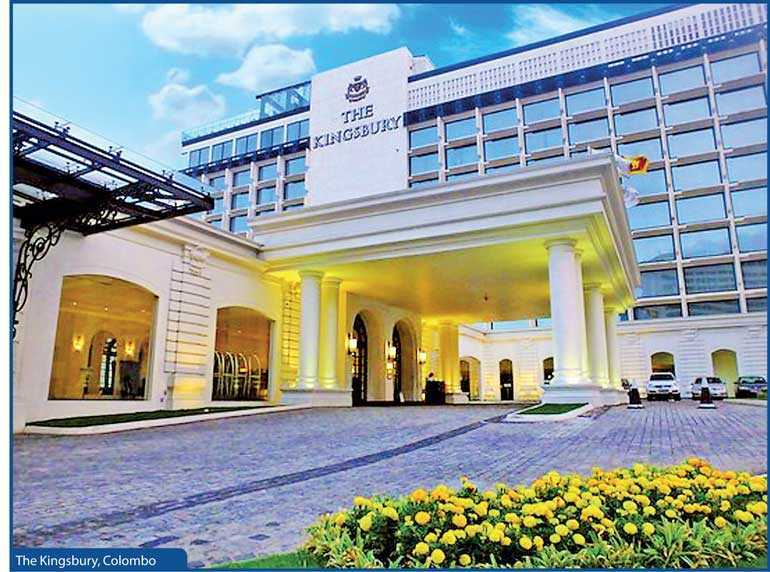 Home / Columnists/ ‘So Sri Lanka’ – upgrade staff, processes, infrastructure at BIA arrivals to be world’s best! ‘So Sri Lanka’ – upgrade staff, processes, infrastructure at BIA arrivals to be world’s best! The following are true events. My phone buzzes with a WhatsApp message from my old colleague Prasad Fernanado now with Saudi British Bank in Saudi. I am thrilled to see the message ‘Sri Lanka top country for travel in 2019 by Lonely Planet’. Lonely Planet, a large travel guide book publisher, now a full facility provider for travel, names Sri Lanka as the best in the world to visit in 2019. I forwarded the message to almost everybody in my contact list with special emphasis on my overseas friends, which is quite a lot. So many replies came with an applause sign. Why not? Isn’t this one of the best news the country has heard for a long time other than the fifth one day thrashing we gave to the mighty English cricket team? “Already notable to intrepid travellers for its mix of religions and cultures, its timeless temples, its rich and accessible wildlife, its growing surf scene and its people who defy all odds by their welcome and friendliness after decades of civil conflict, this is a country revived,” says Lonely Planet in the Best in Travel 2019 book published today. Tourist visits to Sri Lanka have increased dramatically since the end of the 26-year conflict, from 447,890 in 2009 to an all-time high 2.1 million last year, a figure the Sri Lanka Tourism Development Authority hopes to double by 2020, the Lonely Planet Article concludes. My wife Nimmi and I boarded from Cathay Pacific CX 611 with a lovely goodbye from their staff after a 13-hour journey from JKF Airport, New York, USA, of course with a transit at Hong Kong. Stepped out to my beloved land without much of a fanfare just like any other airport. No greetings from any airport staff on our way to immigration, that’s all right given that other airport staff are also not that attentive. Wash rooms were slightly better than last time, less smelly. To our surprise there was a cleaner although he has not done his job well. The washroom accessories compared to other airports were of very low quality and not maintained well. Mirrors were unattended. The directions to the Immigration were in place but could have been better. The chaos started, the Sri Lankan Immigration counters, undoubtedly most disorganised in the world. Highly understaffed, may be over 10 queues, no one knows which queue is for locals and which is for foreigners. There were no proper instructions to fill Immigration forms. A set of forms were on a stand and the foreigners were clueless about what was going on. The area was not properly lit, there were no proper queue systems, the counters were looking shabby. Since we have been through this for a number of times we knew there were no separate counters for locals. The locals need not fill Immigration forms. Foreigners I am still not sure. There was not a single floor walker directing around 600 passengers who were at the Immigration counters at that time. No uniforms, no greetings nor smiles (this is all right as many Immigration officers around the world are like that), not attired well including ladies, not mannered and yawning (can be excused as time was close to midnight! ), not sure they have good communication skills as they rarely speak like in other countries. The time taken without any queries was also questionable. After about 25 people finished in our queue the foreigner who was just in front of us, a Chinese national, went to the Immigration officer and for our ill luck he was the only guy the Immigration officer asked a question and the Chinese didn’t know English. Alas, all hell broke loose and a few officers came and after about five minutes he was taken to some room for questioning. Wonder what steps are in place to handle such situations; I am sure there is a process but apparently the situation was very confusing. Our turn came and we were quickly released. Thank god for that! By now the foreigners visiting Sri Lanka for the first time would be cursing themselves for getting in this muddle. Compared to the Departure wing shops, these were far off colour. The entire area needs a full layout change. It was not properly lit. Displays were not attractive. If these were properly done there would have been substantial growth in sales. The chocolate and liquor shops had the biggest sale because they had good display and relatively smart staff sometimes even better than their foreign counterparts. Where are the beautifully designed Abans, Singer, Softlogic, Damro, Odel shops we see all around the country? Hence, didn’t see much business happening in the consumer durables areas. Compared to other airports this was the fastest. Further, there are porters who can assist you at a nominal tip. Maybe since we are regular travellers we are not on their radar much. But, they are properly attired. Maybe they can be located in a better way to send some shivers through any culprits. Food outlets are the most prominent in any airport. However, for some reason the BIA Arrival wing does not boast of many. Come to think of it many airports Arrival wings do not boast of many food outlets as passengers want to go to their destination fast. But a KFC, a Pizza Hut or a McDonalds would have added value (have not seen any). The banks and travel counters are aplenty, but travel compared to public transport charges is way too high. There was no one to thank us for coming to Sri Lanka or greet us to have a pleasant stay in Sri Lanka at the BIA exit doors. After getting into our vehicle with the greatest difficulty to find it in a disorderly car porch area, I was wondering whether any airport staff member greeted me with the famous Ayubowan, not that I can remember any in my many arrivals to Sri Lanka, at least a goodnight when I was leaving, not that I can remember unless otherwise I was sleep walking and somebody greeted. Strange for a country that is famous for greetings and friendliness. Did I actually land in Sri Lanka? Are the Sri Lankan politicians using the same channel like all of us?? Are the SLTDA staff using the same channels like all of us?? Haven’t they seen other airports?? How many times they would have passed this misery and what have they done to improve this situation? Pathetic, my dear friends! What is the first impression to a foreigner? Will they ever want to come back? Your guess is as good as mine! I drove my vehicle with my wife and a friend of hers who visited Sri Lanka from UK. The hotel as usual looked majestic from outside, there were a number of staff personnel in uniforms. “Good afternoon sir, do you need valet parking?” Why not? I handed over my vehicle without hesitation. The porch was clean, the garden with cleanly-cut grass (I knew it was artificial) was immaculate. The doorman opened the large wooden doors greeting with a wide smile. It was like we were ushered to the White House. In to the hotel lobby, plush front desk, brilliant white walls, large chairs, large clear mirrors, well dressed, uniformed rather young good looking staff, there was a foreign lady from the staff like a statue and all smiles ushering people in. The hotel was crowded but bustling with energy. We felt like a set of diplomats attending a high powered function. The wash rooms, filled with aroma, clean as ever and dim lit was like heaven on earth. We walked to the Harbour Court without reservations. Despite a large crowd in for lunch the entrance desk lady who was in charge of seating promptly checked us to a table with a good view of the harbour. Even though the scenery is now like a battlefield with the Port City construction work in top gear we did not mind it as the ambience of the Harbour Court was fine and the people all happy. The food was out of this world! The largest spread I’ve ever seen in my little travel I’ve done around the world around 20 countries. Friendly stewards, friendly managers, finished dishes whisked away in seconds. What a sensation!! Greetings all around! “Thank you come again, sir!” My vehicle is nicely driven by a chauffeur to the car porch and the key handed over with a smile and a “Thank you, come again, sir”. Yes, we will definitely come back, sir! I was driven to the hotel in our official vehicle from Colombo with one of my staff members for a function to be hosted by my workplace for a set of clients in the Kandy area. The event was to happen in the night and we decided to stay in the hotel as the function was expected to end after midnight. 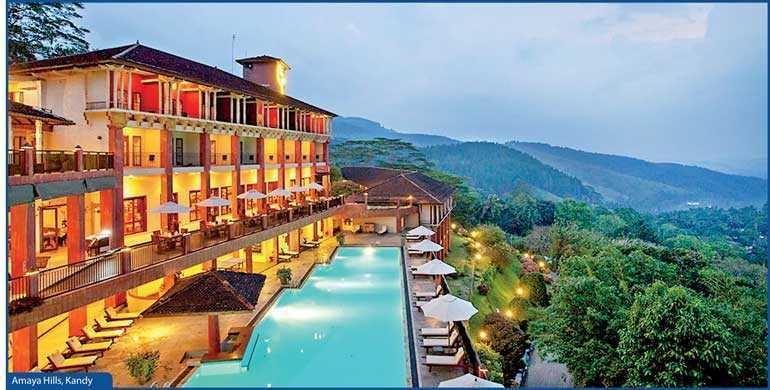 The hotel which has been built in the grand Kandyan style was looking majestic in the misty hills and we were greeted with our customary Ayubowan and the bell boys were very friendly and clad in neat Kandyan dress. The ladies clad in Kandyan saree were a treat to watch and front desk was also a Kandyan crafted design. We were invited to light the traditional oil lamp which is used in all Sri Lanka functions. A photo was taken lighting the oil lamp. A traditional drink may be belimal (not sure) was served with kithul jaggery. The architecture of the hotel was spot on with all historical Kandyan touch. We were upgraded to a suite which was a good gesture, as we give them good business and today’s event one of them. The same Kandyan masterpieces, clean, lot of aroma, big spaces, well lit, excellent views and a design in flowers on the settee table depicting my name. Wash rooms, well lit, top quality accessories, good aroma. When I browsed my mail I have received a mail from the hotel welcoming me with a photo of us lighting the oil lamp. Surprise! Excellent as always, I have been to this hotel a number of times and make no mistake the quality of food has remained the same as far as I could remember. With so many hotels, how come some hotels retain quality staff and maintain the standards without any abruption? How come these staff are bustling with energy, greeting smiling despite hectic work schedules? Kudos to this hotel. Baggage taken on time, bills promptly arranged and sorted, again a photo taken at the open reception area and bade goodbye. I felt sad to leave this Kandyan hotel where I was treated like a king or a nilame. At home I browsed through the many mails and another mail from Amaya thanking me for visiting them with the last photograph taken at the reception area with my staff buddy. Surprise! Do the Sri Lankan authorities agree that the BIA Arrival wing is the first touch point of tourists to Sri Lanka? Are there laid-down greeting practices to the staff of BIA Arrival wing? Are there floor walkers (staff who could assist tourist with regard to their queries including translators) in the BIA arrival wing? Are there service level agreements with staff as in other organisations? Is there a proper interior designer of this place who should continuously upgrade the layout/lighting on par with other airports? Why can’t we have some beautiful oriental piped music? Have we decided on a theme for our Arrival wing, whether it should be modern or cultural like in the case of The Kingsbury and Amaya Hills?? Why aren’t there proper directions in the Immigration area to the queues (if a tourist can go to any counter, please mention same)? Why aren’t there any notices displayed with regard to Immigration forms (if locals are not required to fill, mention same)? Is there a dress code for the Immigration staff? Is there continuous training on proper communication, etiquette, PR for the Immigration staff?? 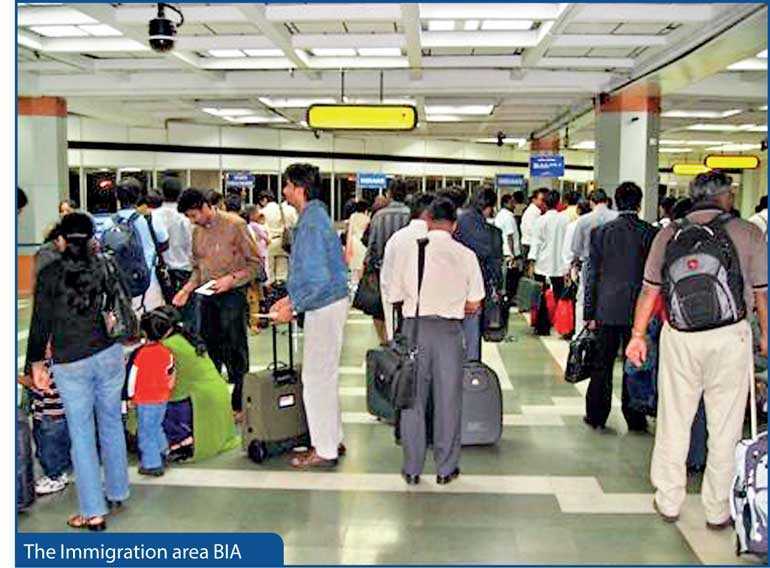 Is the Immigration staff enough to cater the number of arrivals at any given time? Are we using international queue methods? Are there any service level awards/rewards/incentives to Airport staff for maintaining top standards? Are the duty free shops given minimum display standards to be on par with other Airports? Why have the world renowned food parlours shied away from the Arrival wing?? Is there any feedback mechanism in place in this all important place of the country? Are there any staff responsible in greeting and thanking tourists for coming to Sri Lanka when they are leaving the Arrival wing to their respective vehicles? Why can’t the outside car park area be properly manned like in other airports in an orderly manner? According to my experience many airports in the world do not have a friendly atmosphere even though many are now world class in infrastructure compared to BIA. The Immigration staff in many airports are very rude and not friendly at all. Isn’t this a chance for Sri Lanka to capitalise as the ‘Friendliest Airport in the World’? Isn’t it a real unique selling proposition all marketers are teaching but never ever thought of practicing in this most important gateway to Sri Lanka? My wife Nimali and I boarded from Cathay Pacific CX 611 with a lovely goodbye from their staff after a 13-hour journey from JKF Airport, New York, USA of course with a transit at Hong Kong. Stepped out to my beloved land. Two lovely but simple ladies clad in Kandyan saree greet us with the traditional “Ayubowan” and say “Welcome to Sri Lanka”. Well-lit directions on the way to the Immigration. LED display boards all depicting places of interest in Sri Lanka. The washrooms are out of this world. Neat with aroma from Spa Ceylon, Rocell bathroom accessories, clear mirrors, two cleaners regularly drying the wet areas, spotless tiles, plenty of hand wash, hand dryers, clean commodes, urinals, sanitary paper rolls and dustbins. On the way to the Immigration all staff are in smiles and greet with “Welcome to Sri Lanka”. There is a traditional oil lamp operating in a modern way so that it’s neatly maintained where any tourist can light it if they wish. There is a huge group of tourists lighting the oil lamp with proper guidance from an airport staff member taking photographs to mark their first visit to Sri Lanka. Directions properly given to foreigners and locals to separate counters. Immigration form counters very well displayed with fixed pens branded Sri Lankan. Number of queues with a well-organised queue system. Two meter greeters cheerfully assigning tourist to different queues which were under world-class queue systems. The Immigration officers’ counters are well branded with Sri Lanka Immigration logos. The area was slightly dim lit, but perfect for the occasion with piped music of Sri Lankan oriental music. Again there were LED screens displaying places to visit in Sri Lanka. The display of Sigiriya Rock was astonishing and I could see the tourists interestingly looking at those visuals. The Immigration staff who were young were very smartly attired in uniforms just like the flight attendants. They were very cheerful but were well on the job. The mix of ladies and gents was perfect. There were two supervisors attending to any issues with a view to supporting the tourists not to make their first visit to Sri Lanka a nightmare. The Immigration officers were very well-mannered, calling their clients “Sir/Madam” knowing that they are the ones who bring them business and the monthly pay-check. The way the Immigration staff released me with a “Have a pleasant stay in Sri Lanka” was one that I had never heard at any other airport in the world! The stay in the Immigration due to the increased number of tourists arriving in Sri Lanka was about 20 minutes but was of no issue given the lovely atmosphere! It appears that Departure wing shops have all been transferred to the Arrival wing within six months. How did all top consumer brands like Abans, Singer, Softlogic, Damro and Odel shops open within a short time? How did they find space? I heard the airport now has permanently obtained services of two firms which are reputed architects/interior designers to work on a full-time basis to add glamour to this all-important location of Sri Lanka. Their job is to continuously upgrade the infrastructure of the airport to maintain world class standards. That’s a good decision, well done Airport Authority! The lighting was stunning, are we in the Dubai Airport or are we in the Colombo or Kandy City Centres? All reputed international and Sri Lankan food outlets opened and crowds bustling, what a change from last time? How come all staff are greeting us with huge smiles? Definitely Sri Lankan! New LED displays giving directions to our baggage belt. As usual very fast. Friendly porters, very well organised trolley areas at no cost as always. Proper LED display directions to Customs area. Proper advice given in LED displays for goods to be declared. The smartly-clad Customs officers giving advice and also checking baggage whenever the need arises. Very well-mannered and thanking visitors after baggage checks. The Customs area layout is changed, giving it a more modern and secure look, definitely a change from the new architect/interior designer company. Food outlets area has now been transferred to the duty free shop areas. Therefore, this area looks more spacious. There were a number of meet and greeters who were assisting visitors in their travel and currency matters. All currency rates were well displayed. Similarly, the travel counters also displayed their charges and there were no wide fluctuations in charges. There were also LED displays assisting tourists who were planning to take public transport. The public transport systems also advertised modern buses taking the new highway to Colombo, Galle and Kandy. What a change! The area was again well-lit with lot of seating where visitors could stay for some time. There were a number of automatic vending machines for food and drinks as well. There were again two ladies at the exit, well-clad and greeting all visitors “A wonderful stay in Sri Lanka”. Up to now it has definitely been one. I am sure the Sri Lankan authorities have hired a top training company to service the tourists at the airport. That at any cost is the best capital expenditure the authorities have made which has made this huge change at the BIA. When I came to the airport car porch area, it was totally different. Directions properly given to private vehicle area/taxi area/public transport area and the vehicles were properly lined up. There were airport traffic controllers who did a good job after all the chaos in this area for ages. I was surprised at how the usually arrogant and carefree Sri Lankan drivers have got used to this system so fast. Discipline is a thing which can be easily inculcated with proper systems and penalties when required. Isn’t this the best a prospective tourist expects from a country like Sri Lanka? Sri Lanka Tourism Development Authority, I have set out a good plan, if implemented properly we can double our tourist arrivals within two years. This is at no cost on my part! However, I would at least prefer an acknowledgement from you. Now don’t say the BIA does not come under your purview, that is up to you to get together and achieve for the sake of this country which is going from bad to worse compared to many countries. Remember you don’t need highly qualified strategist to think and execute this plan; it’s obvious and simple, we can make the BIA the best Arrival wing without much ado and exorbitant costs as it will revolve mainly around excellent service levels. No excuses please, don’t make my next visit to the BIA Arrival wing a real flop after all this writing; if that happens I will only depart from Sri Lanka next time, I am sure that will not be the case, good luck! Don’t just dream, make it big Sri Lanka!